President Trump has called the press almost every nasty name in the book. But his advisors say they don't always agree with him. Kellyanne Conway, for one, does not endorse Trump's "enemy of the people" rhetoric. In a new interview, this prompted CNN's Christiane Amanpour to ask her, "Then do you try to weigh in with the President on this issue?" Amanpour repeatedly pushed Conway about the president's anti-media attacks in an interview for the premiere of "Amanpour and Company." The new program on PBS, which effectively replaces Charlie Rose's nightly talk show, is an extension of Amanpour's existing program on CNN International. Referencing the toxic relationship between Trump and the news media, Amanpour asked the counselor to the president if she sees "some way to get out of this thing that doesn't seem to be good for you or for us." "I'll respond in a few ways," Conway said. "First of all, I do agree that it's not healthy for the body politic on either side." That's a noteworthy comment, given the president's sustained "fake news" attacks against the news media. Conway went on to say that "I and others have tried, the president has tried, to turn down the temperature, to give more access." But she quickly turned to her core complaint about negative coverage. "We talked about the economic reports. I think the media will start covering the economy if it ever goes down," she said. "I think they'll start covering the regulation if it ever starts going up again." Every administration complains about not getting a fair shake from the press corps, though. One of the differences with Trump is the way he tries to delegitimize and even dehumanize reporters. That's what Amanpour, one of the world's best known international correspondents, tried to get at with Conway: The damaging effects of Trump's words and actions. She pointed out that a California man was recently arrested for calling in threats to the Boston Globe. "At what point," Amanpour asked, "is there a red line for you, personally, in the rhetoric causing potential danger and having consequences?" Conway dodged the question and bemoaned the amount of media attention devoted to "palace intrigue" and "personnel" over "principles and policies." Amanpour pressed her again. "There are also all sorts of despicable and undemocratic leaders all over the world who are taking seriously" Trump's attacks, taking it as "permission to demonize their own press." Conway tried to deflect by saying "that didn't happen in the last 20 months, as you full well know." "But it has got worse in the last few months," Amanpour said. "And people are using the 'fake news' slogan to justify the unprecedented amount of imprisonment and violence directed towards journalists." Conway's response? "I see things every single day that are just not true." She tried to differentiate between journalists like Amanpour and "people who call themselves reporters because they sit on Twitter all day seeing who wrote what, and then they repeat it, even though they don't independently research it themselves." But Trump routinely denigrates journalists from CNN and other major news outlets. "It's not just the Twitteratti," Amanpour said. 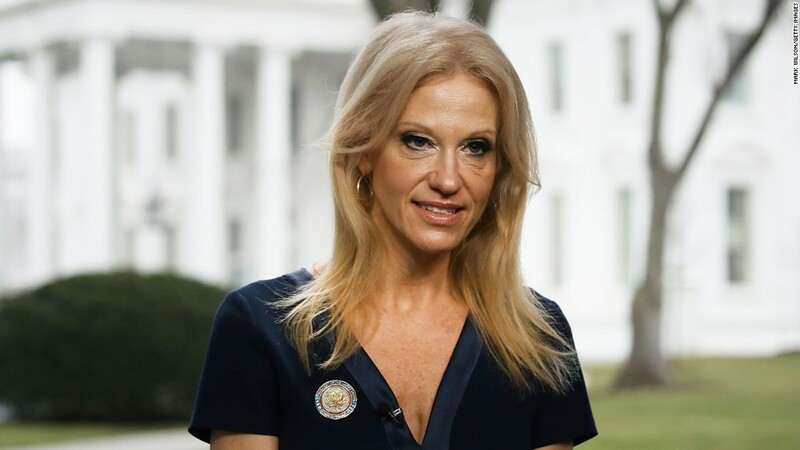 She asked Conway, "Do you think the president might take a stance of his own, to pull back from this?" To pull back from the daily derision of the press? Conway's deflections seemed like her way of saying "no, he won't."